Microneedling, also called “micropenning”, takes advantage of the skin’s self-repair process by creating thousands of precise micro-injuries in the dermis to a depth of 1.5 to 2 mm. 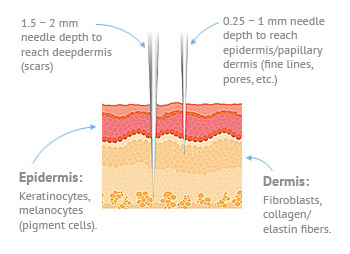 This triggers new collagen synthesis without causing new scar tissue formation. 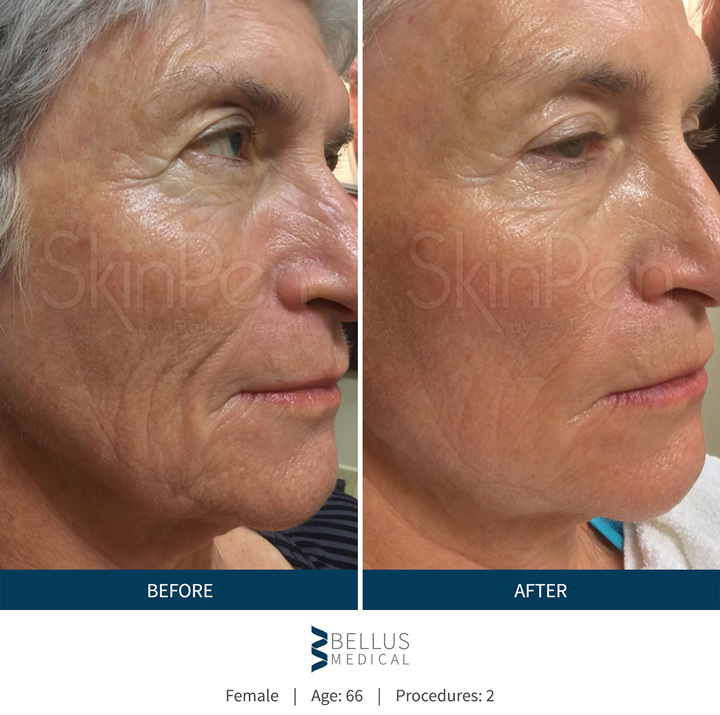 So this minimally invasive treatment stimulates your skin’s natural ability to repair itself, especially collagen and elastin production. Safety and patient comfort are our top priorities when performing microneedling. That’s why we use LIFT HG, a clean, non-cytotoxic hydrogel, which supports proper wound-healing while hydrating the skin and balancing pH during and after the procedure. Platelet-Rich Plasma (PRP) skin rejuvenation is an add-on procedure. Your own blood plasma is applied to your skin following the microneedling therapy. Because of the increased concentration of growth factors in PRP compared to whole blood, it can speed up and enhance the healing process. For all our microneedling treatments we use SkinPen® Precision, the latest advancement in micro-therapy. It is the only FDA-approved microneedling device on the market. SkinPen is designed to improve the appearance of fine lines, wrinkles, and scars on the face and body. SkinPen is different from traditional derma-rollers that can bend, break, or even rust, resulting in possible infection or scarring with reuse. It uses adjustable length, disposable straight needles to penetrate at a 90-degree angle. This adjustability allows for differences in skin thickness and skin types, as well as enhanced safety. Because it’s minimally invasive and doesn’t cause significant wounding of skin, virtually anybody can safely undergo microneedling therapy. Even those with thin skin can undergo treatment since the depth of penetration can be finely controlled. 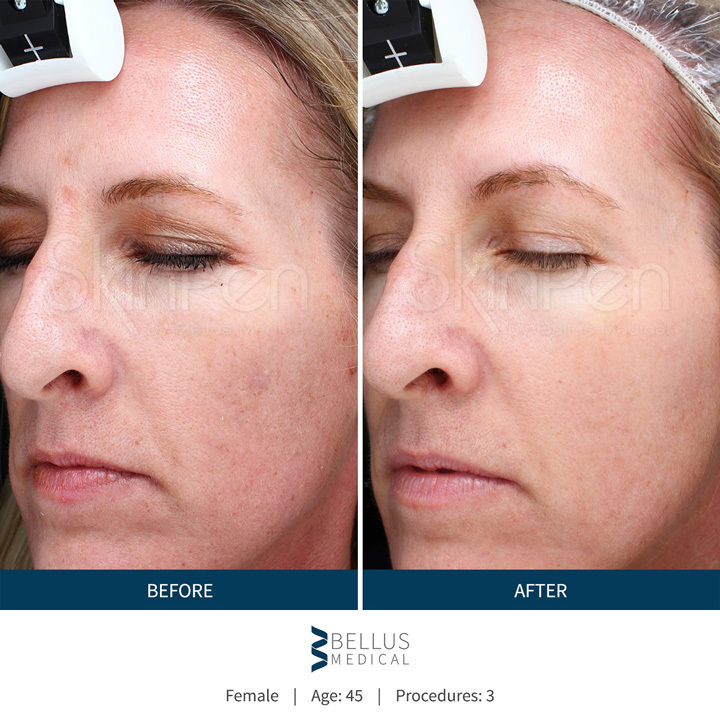 Microneedling helps reduce the signs of aging, improve the appearance of acne scars, and rejuvenate aging skin. 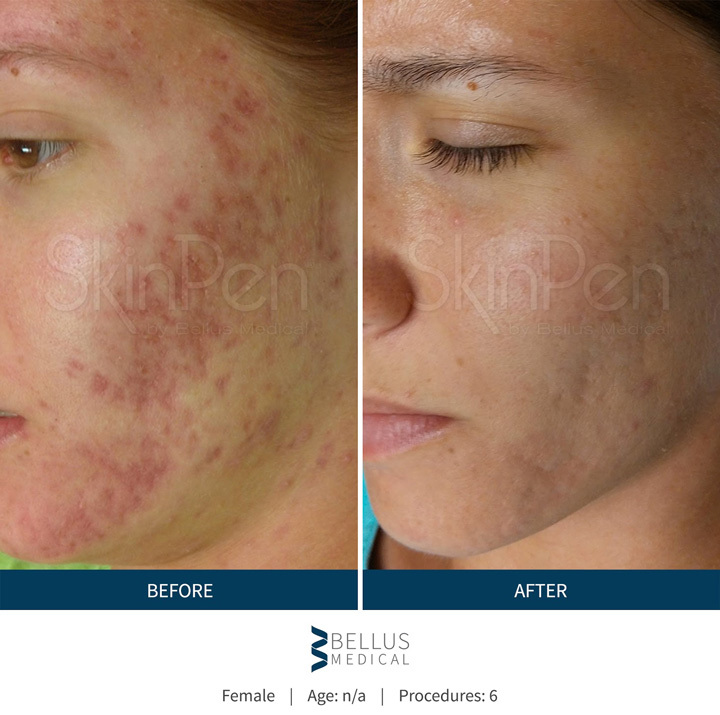 In one study of 60 patients with acne scarring, three microneedling treatments resulted in a 31 percent improvement in skin texture, with no discoloration of the skin. Microneedling was effective for all skin types. We can treat many areas of the body, including the face, neck, chest, arms, hands, legs, abdomen, and back. Chemical peels, Retin-A, or other exfoliating creams must not be used prior to your visit. During your initial consultation—always complimentary—we will go over your skin care regimen and answer any questions you may have. Though treatment is relatively painless we typically start by applying a topical anesthetic cream twenty to thirty minutes before the procedure. This allows for a comfortable experience for most people. Generally, patients report feeling just the slight vibration of the device during the procedure. 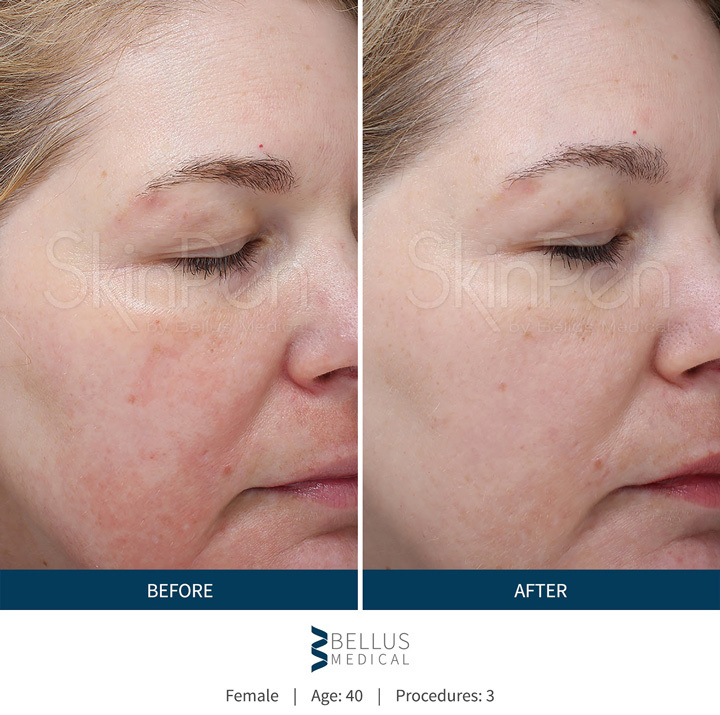 In one study of microneedling used to treat acne scars, the patients’ average pain rating was only 1.08 out of 10. The total treatment time depends on which part of your body we are treating. For the face, a typical appointment takes about an hour. Is post-treatment care needed, and is there any downtime? It is important to keep your skin hydrated after any treatment while the skin resurfaces with new growth. Moisturizers with anti-inflammatory ingredients following the treatment will soothe the area and calm any redness. Exfoliators and alcohol-based toners should not be used until your skin has healed. Always use a good sunscreen with an SPF of 30 or higher, but especially after this type of procedure. The total healing time depends on each individual. 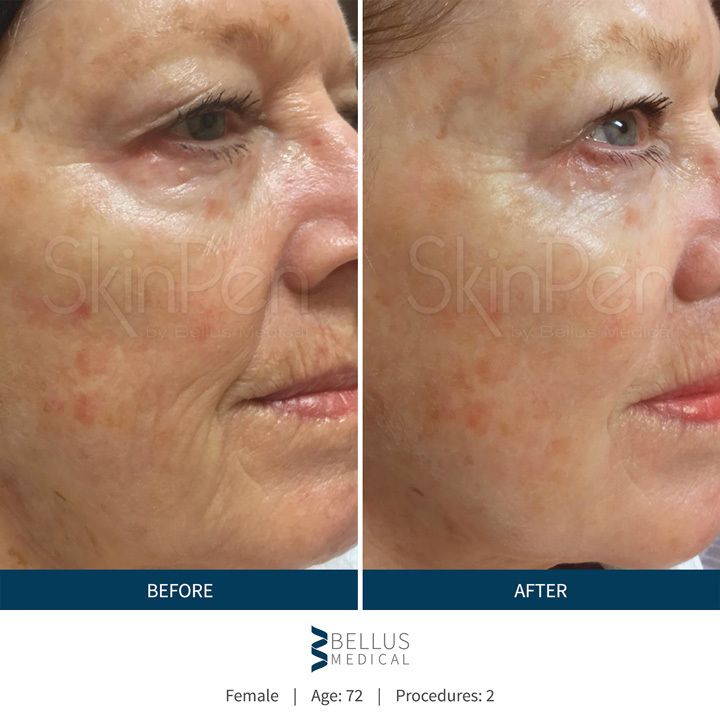 Most patients have some slight swelling and redness/pinkness (like a mild to moderate sunburn) for two to four days following the microneedling procedure. Yes, as with most of our skin treatments, microneedling can be combined with other restorative procedures to help achieve your overall goals. Often these combination treatments must be done separately since the micro-puncturing of the skin triggers the wound-healing process that must be given time complete. Natural collagen growth happens over the ensuing weeks. How is SkinPen different from dermal needling rollers? 1. Adjustable needle depth: Dermal needling rollers are the first generation of needling devices. They have a fixed depth and can’t be adjusted to meet your varying skin needs. We can now address the specific needs of your crow’s feet, lower eyelids, forehead, upper lip, cheeks and neck with a single needle tip instead of multiple dermal needle rollers. 2. Safer: SkinPen is safer than dermal rollers due to its sterile single-use surgical grade disposable needle tips. Because the SkinPen works on all skin types, it’s a great choice for almost everyone. 3. Faster: SkinPen’s high-speed motor enables quick needle penetration. This provides a more comfortable experience that patients often describe as a “sandpaper-like” sensation. 4. Better results: Safety and control features produce predictable and consistent results.